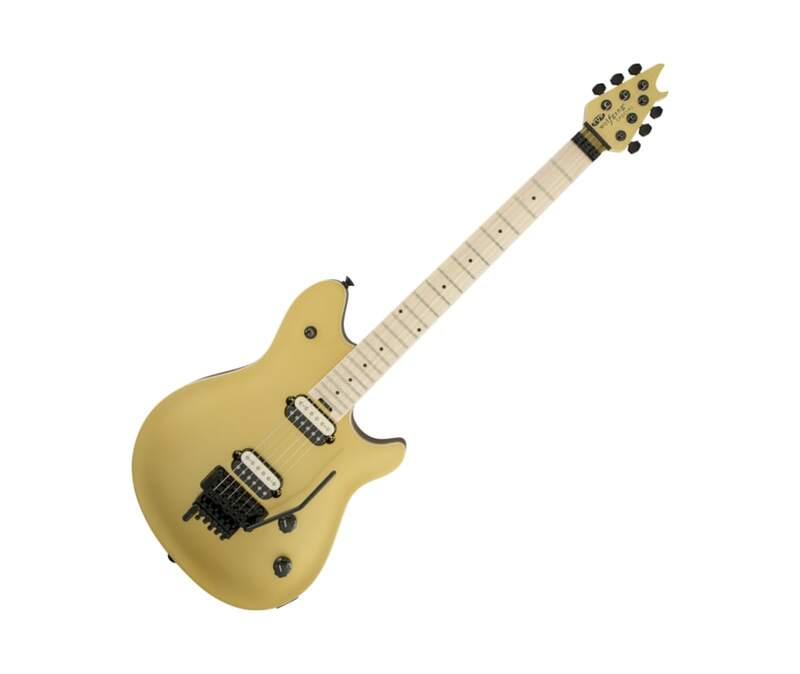 The EVH Wolfgang Special is a purebred music-making machine that is now available. The robust graphite-reinforced quartersawn maple neck - carved and rolled to EVH's exacting specifications - supports a speedy 12"-16" compound radius maple fingerboard, facilitating energetic riffing and blazing leads. Twenty-two jumbo frets take every bend with ease without affecting the instrument's natural tone, allowing every note to ring true. The crystal clear Custom Designed EVH Wolfgang Humbucking pickups are mounted directly to the basswood body, supplying girth and sparkle, as well as near-endless sustain to power chords and melody lines. The rock-solid EVH-branded Floyd Rose Locking Trem combines with the Floyd Rose Locking nut to maintain precise tuning, no matter how insane the whammy-bar histrionics get. The EVH D-Tuna retunes to Drop-D and back with strict accuracy at the mere flick of a finger, while the low-friction volume knob allows for speedy violin-like volume swells with ease while the tone knob resists easy turning - avoiding unwanted tonal shifts during fast and furious playing.